These pages include Resources from the North Bay, Beyond the North Bay and Publications. Community Alliance with Family Farmers, North Coast Region. Located in Petaluma, Green String Institute has a farm store, and internship program and a certification program. OAEC is a nonprofit organizing and education center and organic farm. Located in Sebastopol, a 5-acre demonstration site and educational institution dedicated to sharing permaculture practices. SBDC Napa-Sonoma is staffed with experienced leaders who assist SBDC clients grow and develop their businesses, including a consultant for agriculture. Sonoma County Farm Bureau is a membership organization that supports local farmers and ranchers and provides education and outreach programs. Sonoma County Farm Trails is a non-profit organization that promotes member product and services through their annual Map & Guide, on-site sales, the Gravenstien Apple Fair and the web. Located near the Russian River, the 365 acre Shone Farm provides an outdoor educational laboratory for the students, but also includes short courses, a CSA, grass-fed meat and value add products including Shone Farm wine. 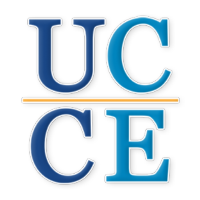 University of California Cooperative Extension's mission is to sustain a vital agriculture, environment and community in Sonoma County by providing University of California research-based information in agriculture, natural resource management, nutrition and youth development.